This Irish cake dish features a large shamrock and embossed Celtic knots along with an Irish blessing. The ceramic pedestal dish features a dimensional design and measures 5” tall x 11” wide x 11" long; hand washing is recommended. 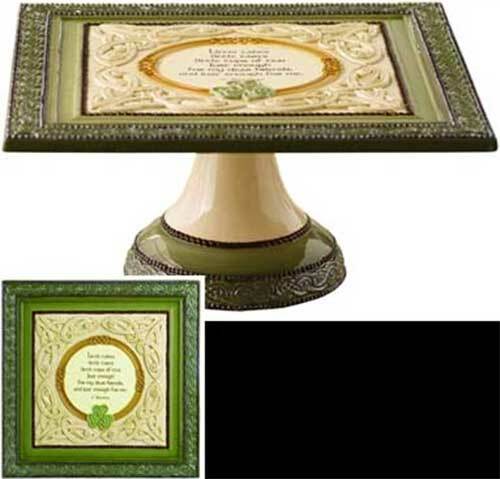 This Irish blessing dish is gift boxed with Celtic knot and shamrock history cards that, complements of The Irish Gift House.